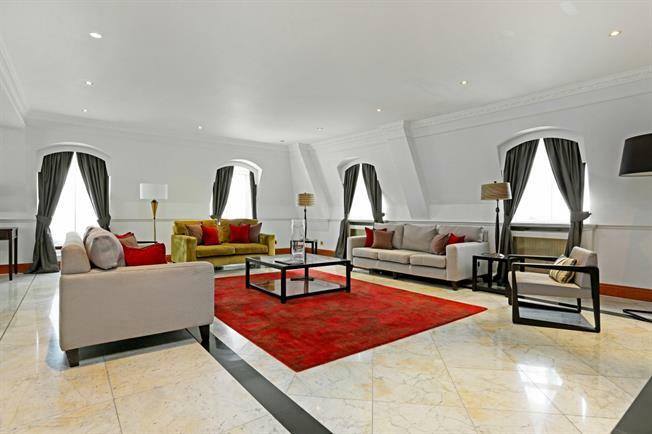 5 Bedroom Duplex Apartment To Rent in London for £11,266 per Calendar Month (Calculated). A superb five bedroom duplex penthouse apartment situated on the 4th floor of this lovely period building opposite Kensington Gardens. The property is entered on the 4th floor comprising large reception room with space for dining, separate kitchen, two single bedrooms (both en suite) and guest WC. Stairs lead to the 5th floor where there is a lovely master bedroom suite and two further double bedrooms (both en suite). The building offers a porter and lift and the apartment is offered furnished. Prince of Wales Terrace is located moments from Kensington Gardens and the amenities of Kensington High Street.